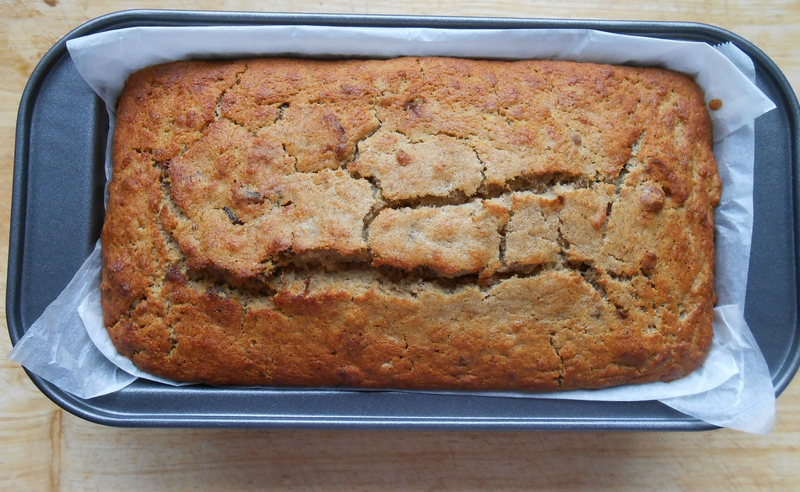 Aahh…banana bread that comfort food that is like heaven on the lips. Well, I have never ever made banana bread. I have eaten it, but never made it before, and wanted to challenge myself to make a banana bread with a difference, both gluten-free and sugar-free with a bit of extra yum factor. So I dug out an older cookbook I totally forgot I had (and this is amazing considering it is a sugar-free book I missed at the start of my sugar-detox – duh! 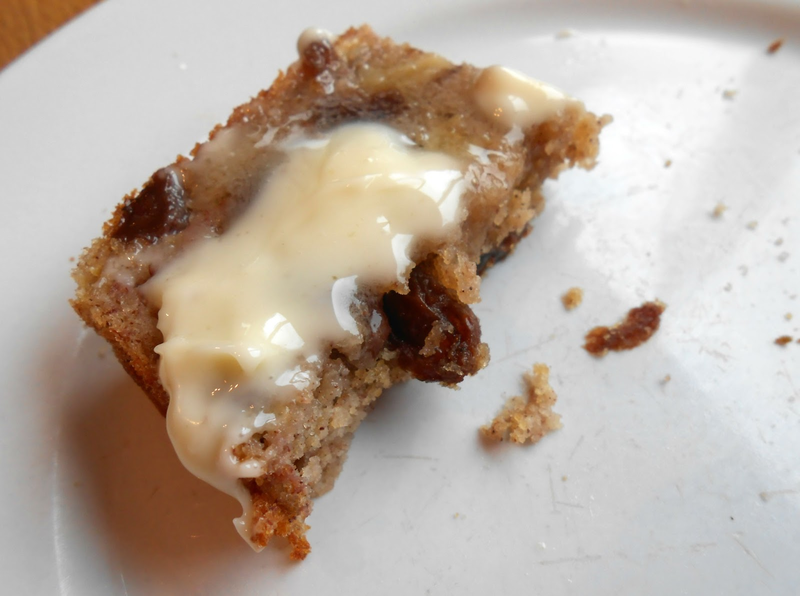 ), and found the most heavenly banana bread – Jamaican style! WARNING: Served with butter this is melt in your mouth yumness! Note to remember: As this is gluten-free it’s not as gummy, stuck together, as normal banana bread but instead it is light, tasty, flavoursome and the texture is magic. (If you want a more traditional banana bread you can add normal flour instead). 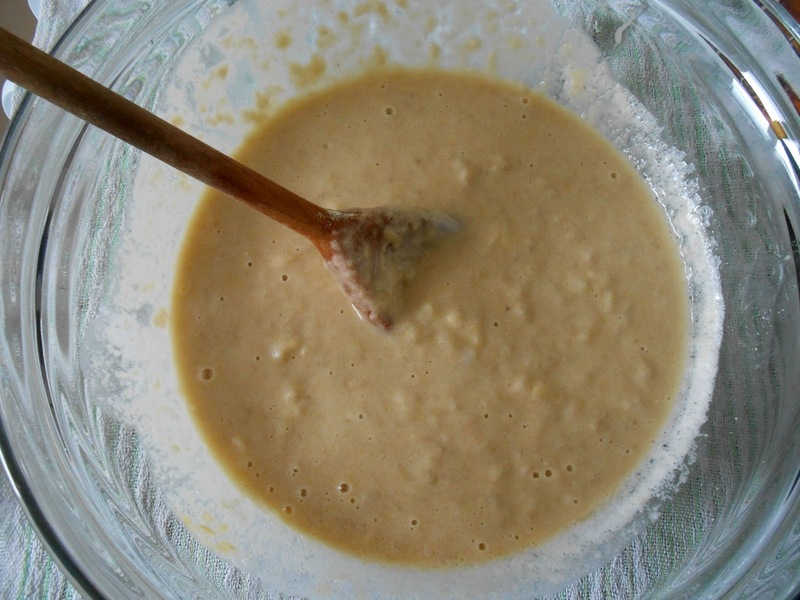 Place bananas, water, egg and oil in a food processor and process until smooth. Add the flours, baking powder and spices and process again.Break walnuts up into small pieces and add walnuts and raisins and process again for 10 seconds until mixed (but not broken up). 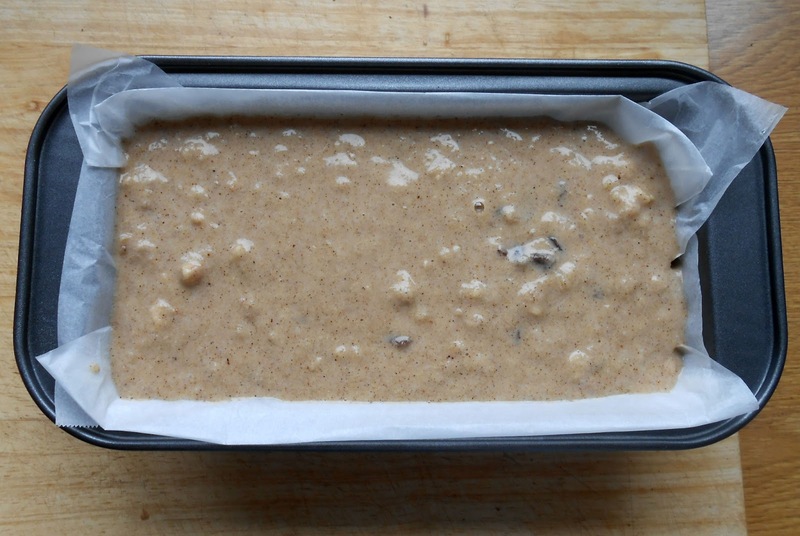 Place mixture in a greased and lined 450g/1lb loaf tin (pan). Bake in preheated 170 degrees C/ 325 degrees F/ gas mark 3 oven for 45 minutes or until brown and firm to the touch. Cool for 5 minutes in the tin and then turn out on to a wire tray and remove the lining paper. 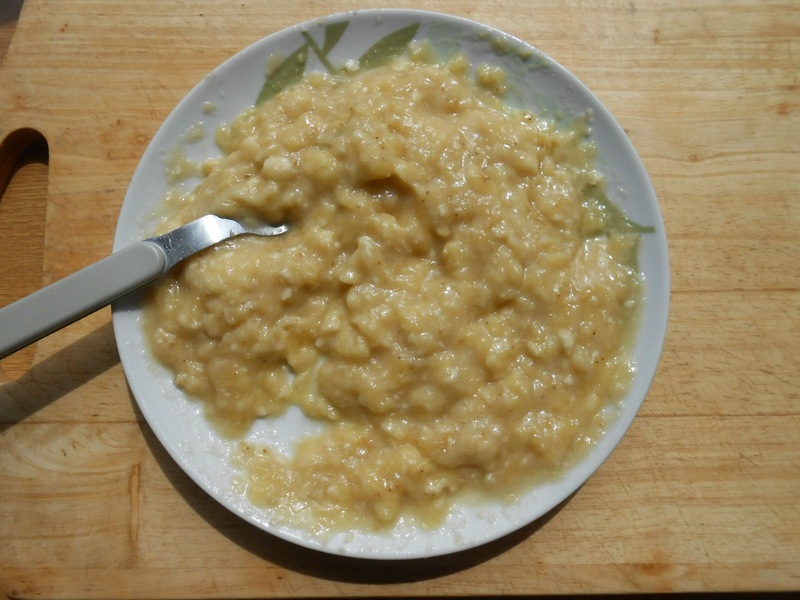 Mash bananas until smooth (mine was not totally smooth but still tasted yum! Smoother than this photo though this was just at the beginning of mashing). 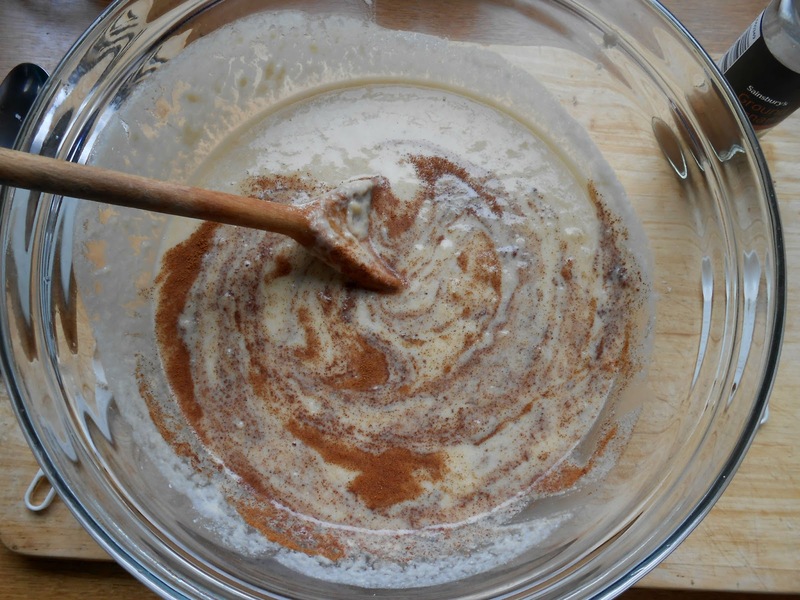 Add to a bowl and mix in the water, beaten egg, sunflower oil, flours, baking powder and spices. 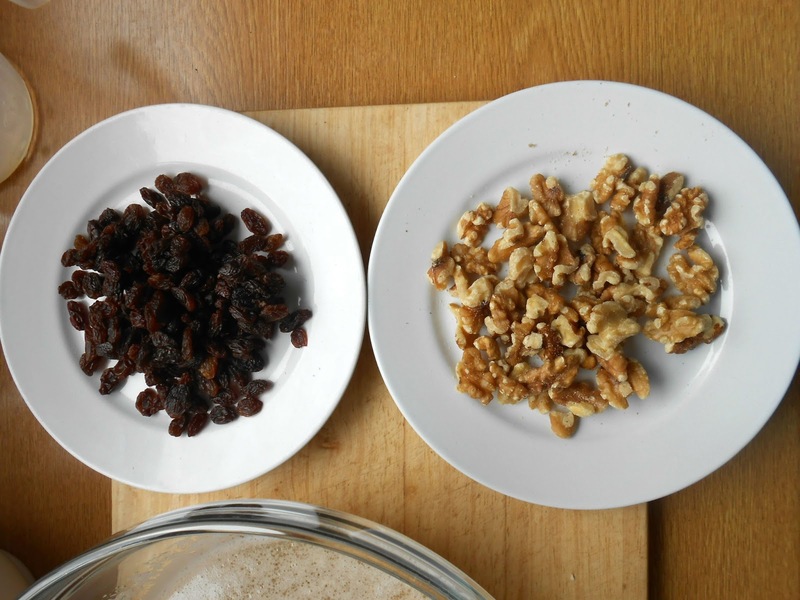 Break walnuts up into small pieces and add to the mixture along with the raisins. Mix in. Before breaking walnuts into small pieces. 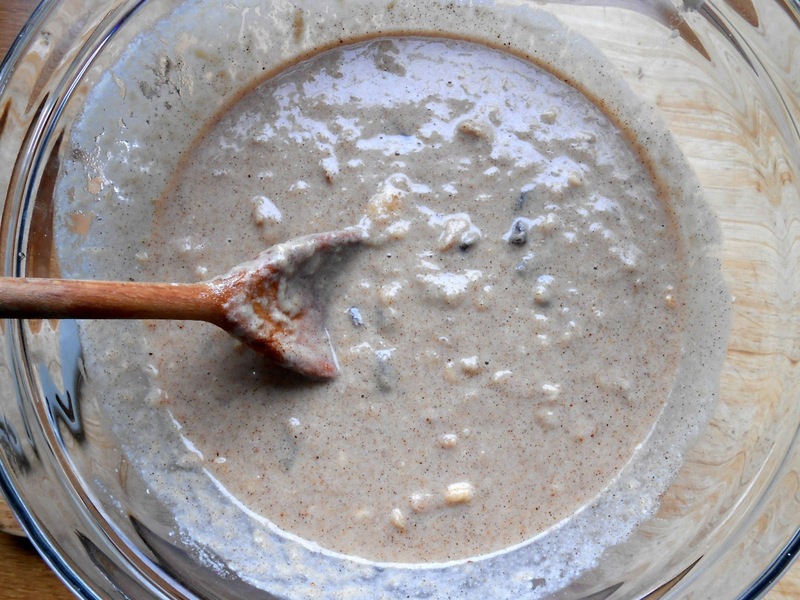 Place mixture in grease in a greased and lined 450g/1lb loaf tin (pan). Bake in preheated 170d egrees C/ 325 degrees F/ gas mark 3 oven for 45 minutes or until brown and firm to the touch. As a newbie banana bread maker I have only other peoples non gluten-free to compare with but this is light, the polenta gives a gorgeous texture, is lovely and moist, sweet and well.. I think it is just heavenly. I had 3 slices the day it was made and I did not feel heavy in my tummy it was that light. Try it out for yourself and let me know how it turns out. 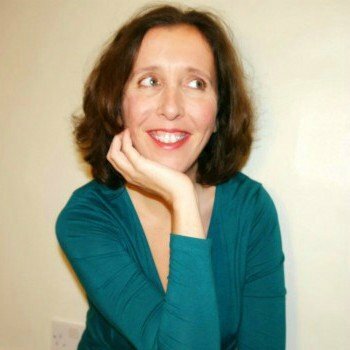 Previous Post Frustrated and Feeling Stuck ? Definitely pin-worthy! =0) Looks delish. 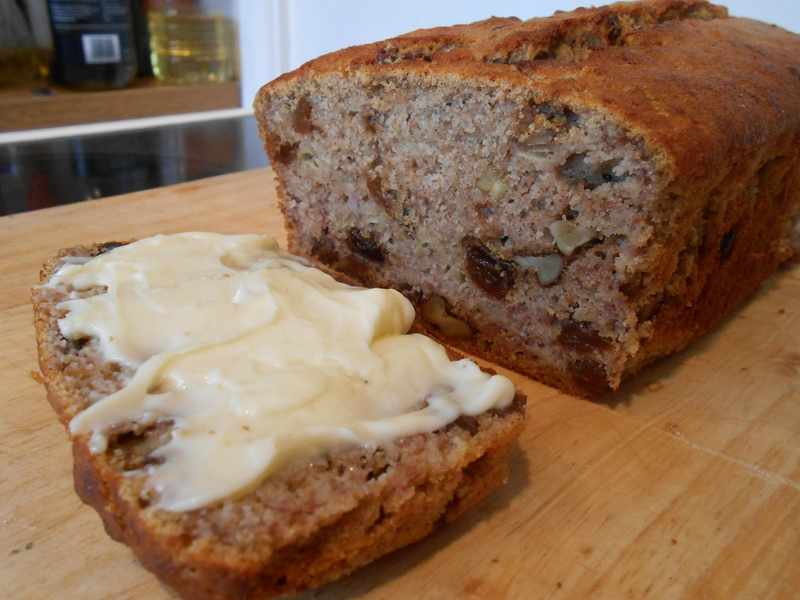 It is a lovely bread, more crumbly than normal banana bread but nice and light-weight. I can also recommend a lovely buckwheat recipe I use off this Italian cook online if you would like it, I use that one regularly. It tastes more like ordinary banana bread but because its buckwheat no wheat.